Exterior of the Center for Disease Control (CDC) headquarters is seen on October 13, 2014 in Atlanta, Georgia. The CDC said Friday that reports of individuals infected with Shiga toxin-producing E. coli O103 began in early March. This week the agency said the outbreak had affected 72 people across five states—Georgia, Kentucky, Ohio, Tennessee, and Virginia—with 17 percent of those individuals having been hospitalized. The CDC reported 36 cases were in Kentucky, which currently has the highest number of reported cases linked to the outbreak. 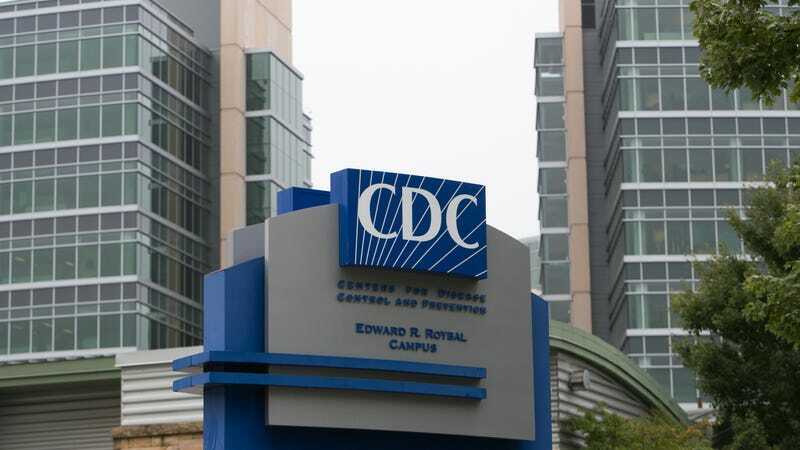 However, state officials said Friday that the figure had risen to 46, according to the Courier-Journal, meaning the CDC’s number may be slightly less the most recent figure of reported cases. Barbara Fox, spokesperson for the Kentucky Cabinet for Health and Family Services, told the Courier-Journal that state officials are working to identify potential overlap in the foods affected individuals may have eaten prior to becoming ill. The CDC, the Food and Drug Administration, and the U.S. Department of Agriculture’s Food Safety and Inspection Service, as well as states, are currently looking into a potential origin for the outbreak. The CDC said it’s not advising against consumers eating—or against restaurants serving—any particular food for the time being. Those infected with Shiga toxin-producing E. coli typically start experiencing symptoms within days of ingesting it, according to the agency. Symptoms include stomach cramps, vomiting, and bloody diarrhea, though the CDC notes that symptoms can present differently depending on the individual. In most cases, people recover in about a week or less.